Scott Tong is a correspondent for the American Public Media program Marketplace, with a focus on energy, environment, resources, climate, supply chain, and the global economy. He is former China Bureau Chief. Tong has reported from more than a dozen countries. When journalist Scott Tong moved to Shanghai, his assignment was to start up the first full-time China bureau for Marketplace, the daily business and economics program on public radio stations across the United States. But for Tong, the move became much more—it offered the opportunity to reconnect with members of his extended family who had remained in China after his parents fled the communists six decades prior. By uncovering the stories of his family’s history, Tong discovered a new way to understand the defining moments of modern China and its long, interrupted quest to go global. 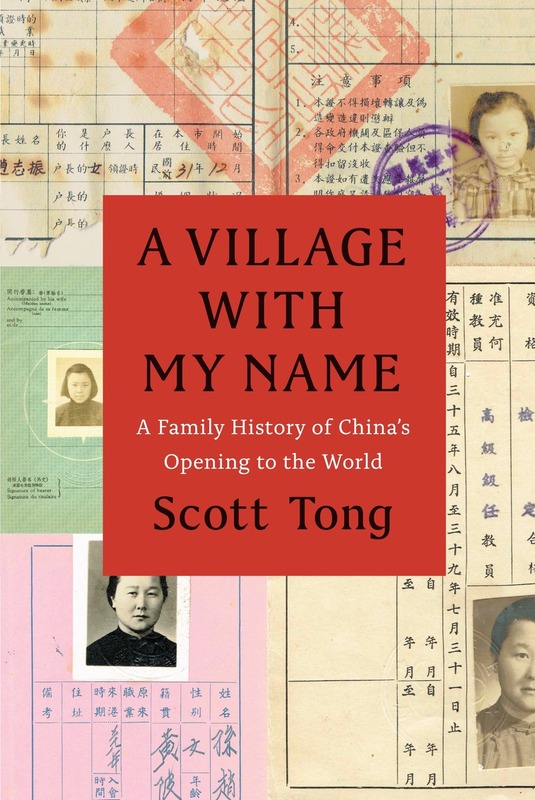 A Village with My Name offers a unique perspective on the transitions in China through the eyes of regular people who have witnessed such epochal events as the toppling of the Qing monarchy, Japan’s occupation during World War II, exile of political prisoners to forced labor camps, mass death and famine during the Great Leap Forward, market reforms under Deng Xiaoping, and the dawn of the One Child Policy. Tong’s story focuses on five members of his family, who each offer a specific window on a changing country: a rare American-educated girl born in the closing days of the Qing Dynasty, a pioneer exchange student, an abandoned toddler from World War II who later rides the wave of China’s global export boom, a young professional climbing the ladder at a multinational company, and an orphan (the author’s daughter) adopted in the middle of a baby-selling scandal fueled by foreign money. Through their stories, Tong shows us China anew, visiting former prison labor camps on the Tibetan plateau and rural outposts along the Yangtze, exploring the Shanghai of the 1930s, and touring factories across the mainland.